Pieces of the past are hiding in plain sight all around the Metro. (SPOT.ph) Old houses in Metro Manila often get a bad rep. If not blatantly labeled as haunted, some of them have fallen into degradation due to neglect. Yet these structures carry with them the social history of a certain era and show us us how people lived before. The updated Heritage Conservation Bill or Senate Bill 1234 was filed in November, which has provisions on tax incentives for owners of old houses. 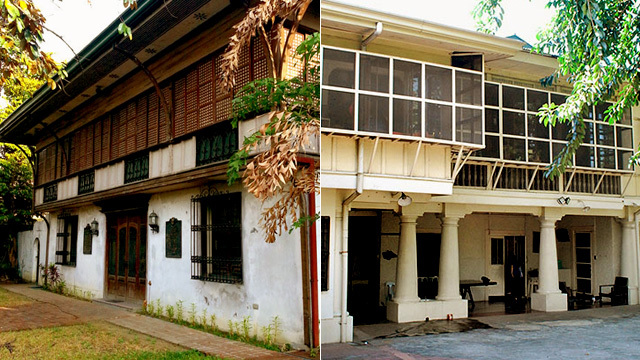 Soon, owners of these houses can be rewarded for keeping history alive in their local communities. 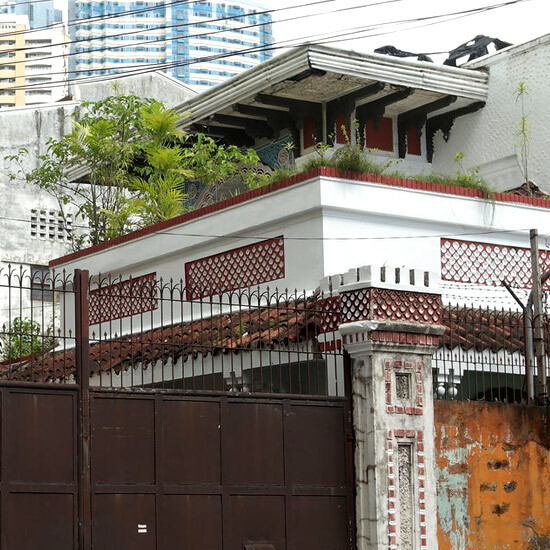 There are many heritage houses that survived the test of time around Metro Manila, including the late Senate President’s Amang Rodriguez’s house in Pasay, several in the San Nicolas and Sta. Ana districts in Manila, and some in New Manila. It’s about time we look back and look twice at these historic and architectural gems while they’re still standing. The O'Brien-Lichauco Heritage House was originally owned by the O'Brien family until it was bought by Marcial Lichauco after World War II. 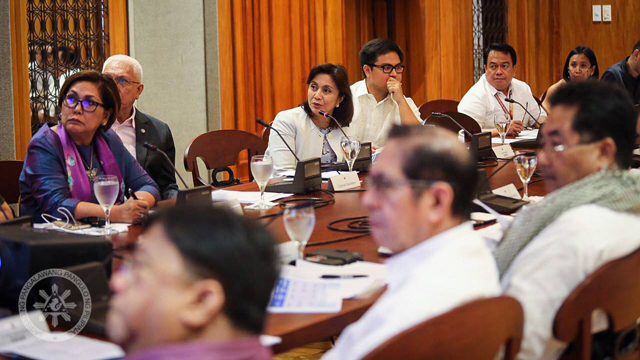 It was declared a heritage house by the National Historical Commission and the 200-year-old balete tree in its compound was also declared by the Department of Environment and Natural Resources as a heritage tree. Cubao is known as one of the busiest districts in Manila but tucked within the high-rise condominiums is the Mira Nila grand heritage house. It was built in 1929 by Conrado Benitez, an educator and politician, whose wife is Francisca Tirona Benitez, co-founder of the Philippine Women’s University. Mira-Nila translates to “look at Manila” because the property was built on what used to be a hill that overlooks Quezon City. The house was declared a national heritage house in 2011 and it currently has a collection of antique items such as ceramics, paintings, books, and more. This house in Peñafrancia is actually one of the three houses owned by the President of the Second Philippine Republic, José P. Laurel. Also known as Villa Peñafrancia, Laurel purchased the house in 1926, but the house itself was originally built in the 1860s. This is evident in its bahay na bato style, where the ground floor consists of stones and masonry materials while the upper floors are dominated with wooden materials and capiz shell windows. Young people are now familiar with loud-mouthed and brave Gen. Luna, thanks to the eponymous movie that became an unlikely blockbuster. 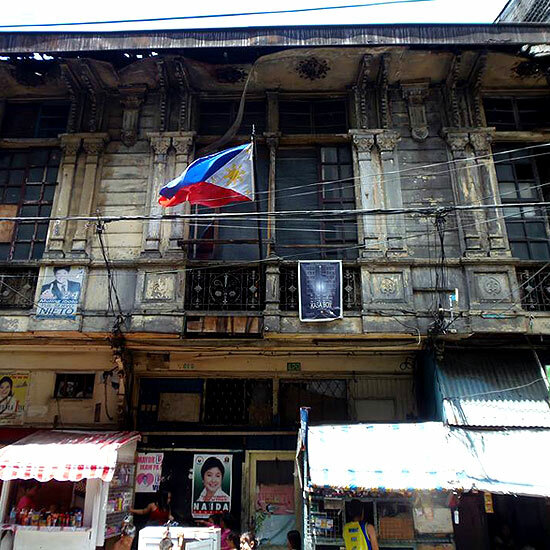 What a lot of people may not know is that the house where he was born still stands along Calle Urbiztondo in the San Nicolas area in Binondo, Manila. Unfortunately, the house is not in tip-top shape. Its original structure is still intact but the capiz windows bears holes. 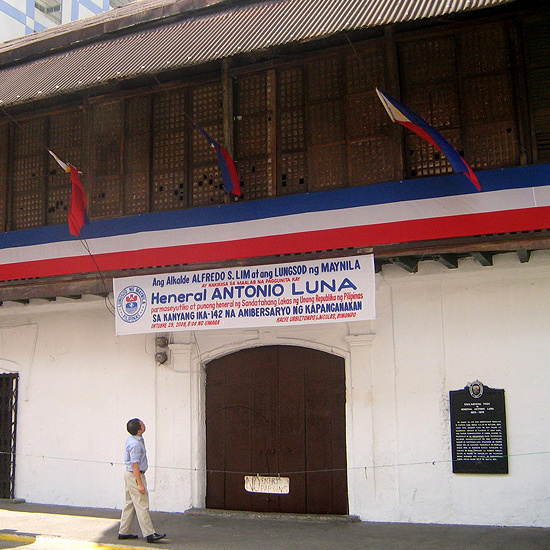 Politicians and the community would visit the house during the birth date of Gen. Luna on October 29 each year to lay wreaths and pay their respect. 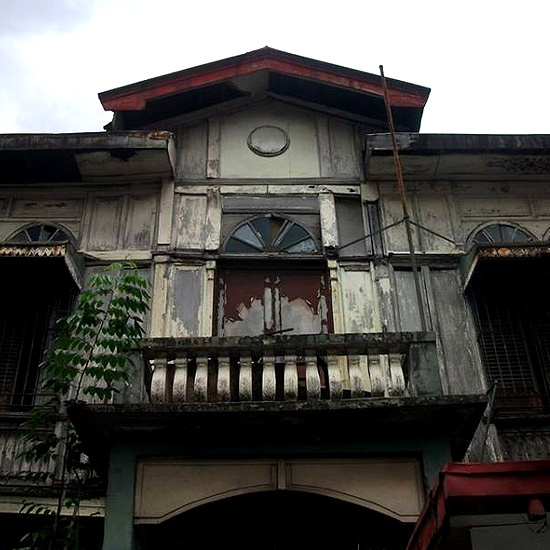 Many prominent personalities from Philippine history have lived or at least stepped inside Bahay Nakpil-Bautista. 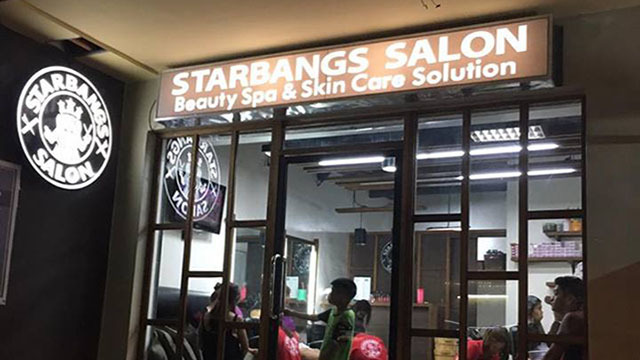 Starkly visible in a colonial era street in Quiapo, it is named after its famous resident, Dr. Ariston Bautista. This well-connected doctor and his wife Petrona Nakpil were the ones who commissioned architect Arcadio Arellano to build the house in 1914. Petrona’s relatives had many connections to members of the Katipunan. Inside, you can find the spacious public rooms where Dr. Ariston Bautista used to host parties. Back then, the massive space was even able to fit two orchestra bands. 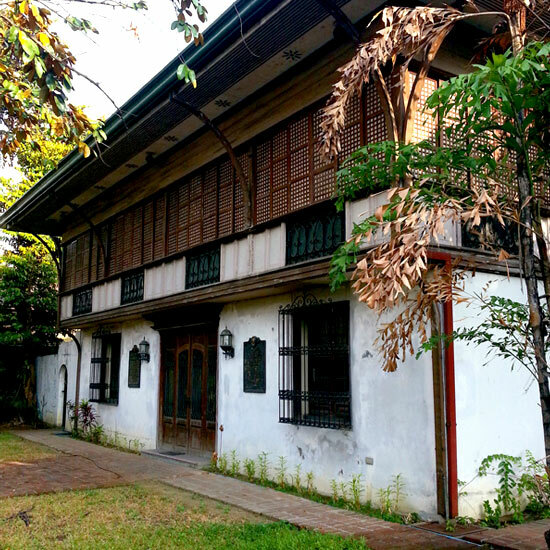 Located in 730 San Sebastian Street in Quiapo, Casa Consulado was built in the 1920s in the bahay na bato style. Don Jose Iturralde and his wife Doña Dominga Alvaro bought the house in the 1930s, which is why Casa Consulado is also known as the Iturralde Mansion. The couple’s son is Dr. Augusto Alvaro Iturralde, who grew up to be the Honorary Consul of the Principality of Monaco to the Philippines. 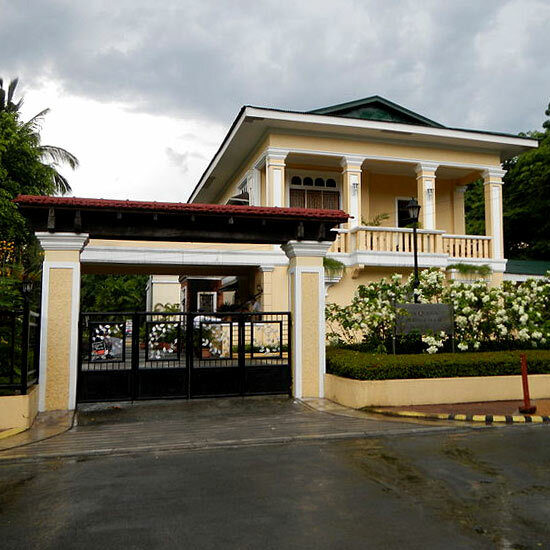 During his tenure, he made his house into his office, thus it became the Consulate House of Monaco in the Philippines. 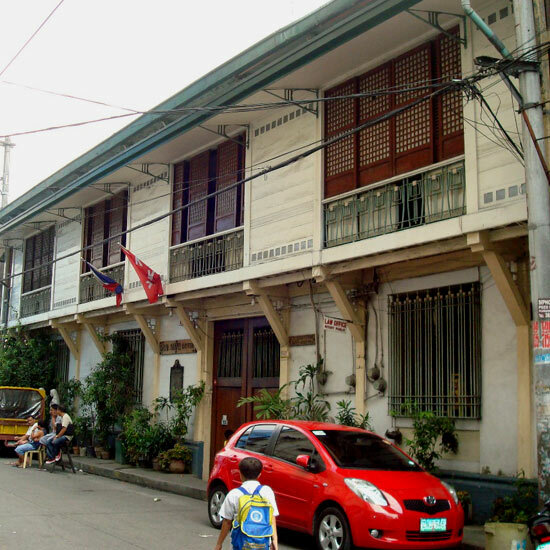 Poet and politician Claro M. Recto lived in this house when he moved to Manila. A native Batangueño, Recto spent majority of his career as a senator, eventually becoming the Minority Leader in the Senate from 1931 to 1934. According to the residents who lived near the property, the house was recently bought by a private company that remodeled the house and its surrounding properties. Unfortunately, visitors aren't allowed inside the house, and can only view it from outside the premises. For the longest time, Kasa Boix along Bautista Street, Quiapo, served as a dorm and one of its famous occupants was Manuel L. Quezon, who was then studying law at the University of Sto. Tomas. The house was built by Don Marciano Teotico and Juan Hervas in 1895 and the house has served many purpose since. It later became the house of poet and journalist Jose Teotico and it was later owned by Crespo family and Boix Terradellas. The Jesuits also used it for some time and after World War II, it became the office of The Star Reporter. Inside the PUP Campus in Sta. 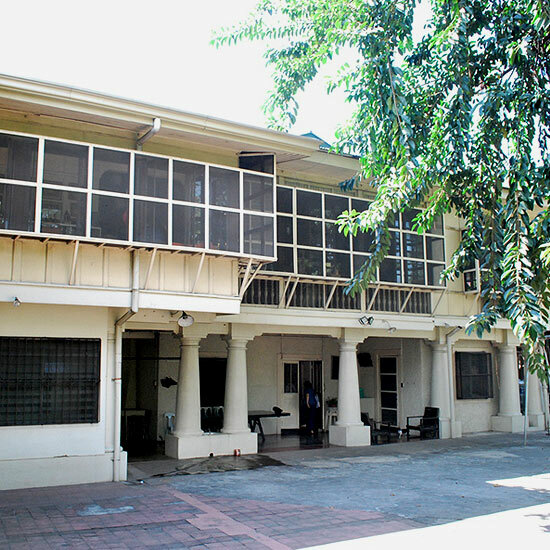 Mesa is the house where Apolinario Mabini, also known as the Brains of the Revolution, spent his final days. That time, the house was owned by a certain Cecilio del Rosario and Maxima Castañeda. Mabini lived in this house from 1888 to 1896 before he was captured by the Spaniards for suspected involvement in the revolt. After the war and his exile to Guam, he returned to this house in 1903, where he died of cholera. The house has since been converted to a shrine and museum dedicated to the life of the man who served his country. 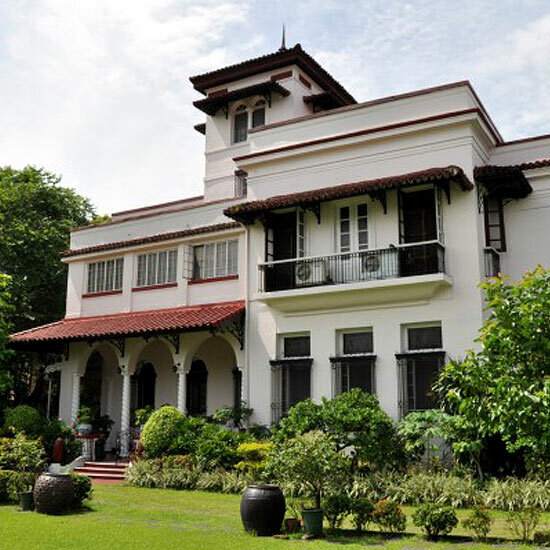 Located inside the Quezon City Memorial Circle, this house of President Manuel L. Quezon was originally located in Gilmore Street in New Manila. The house was built in the neo-classical American style and it was acquired by the Quezons in 1927. 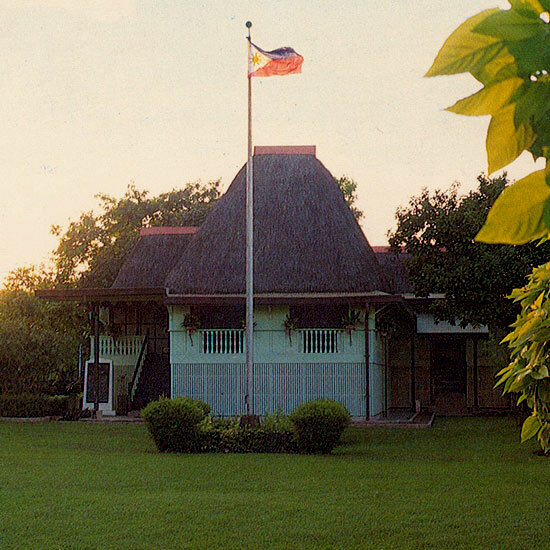 It was primarily used as a vacation house by the family and it was also where the Philippine Red Cross was established. The house was preserved and restored, then later transferred to the Quezon City Memorial Circle, where it was converted into a museum.